Grammy and Indie Award winners Al Petteway & Amy White return to Isis with their loving humor, critter tales and virtuosic instrumental skills. This will be a celebration of 25 years of making music together. A great way to relax and escape the stresses of every day life for a short while. 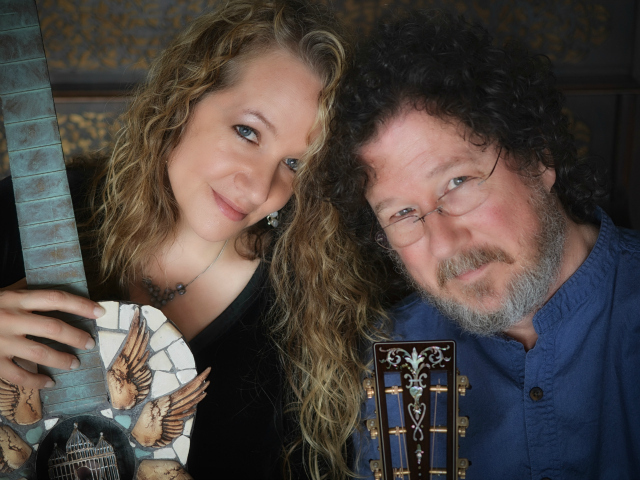 Al & Amy have long been a favorite, with their eclectic acoustic repertoire that includes original, traditional, contemporary Celtic- and Appalachian-influenced music with occasional nods to Blues, New Age, and Jazz played on a variety of stringed instruments. Al & Amy’s music has been a regular feature in Ken Burns’ documentary films, most notably the soundtrack of the Ken Burns EMMY-winning documentary, The National Parks: America’s Best Idea. They have won a long list of awards including a Grammy and an Indie award and are currently working on their 23rd album and Al is working on his 7th instructional video.